Ford revealed its all-new Explorer SUV in Detroit. The iconic Ford Explorer SUV hasn’t been redesigned since 1991. 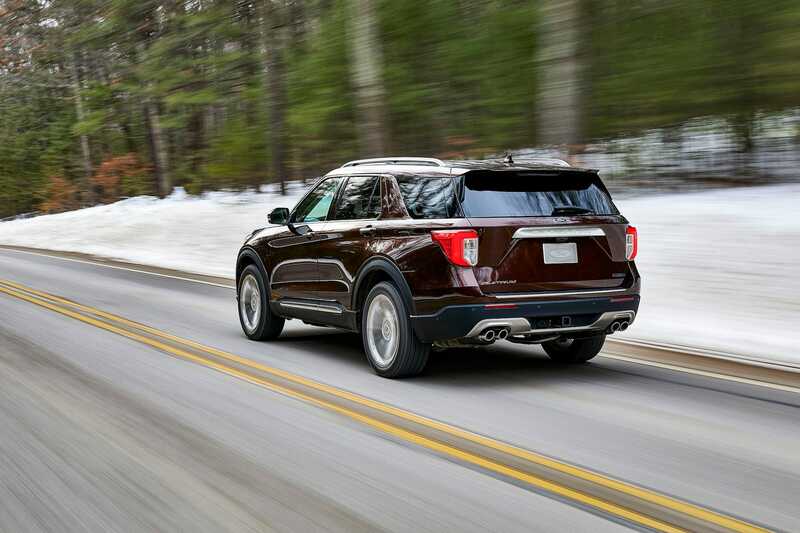 The sixth-generation Explorer isn’t radically different on the outside from the fifth-generation SUV, but it’s been substantially improved in terms of engineering, capabilities, and technology. The Detroit Auto Show officially kicks off next week, but Ford grabbed the early spotlight by revealing its new Explorer SUV in Motown on Wednesday. Business Insider got a look in New York, where Ford had brought an example of an iconic SUV that’s sold eight million units since 1991. The revamped 2020 Explorer isn’t radically different from the outgoing SUV, but it has been updated in all the ways prospective buyers should expect, given that the previous generation had been around for nine years. 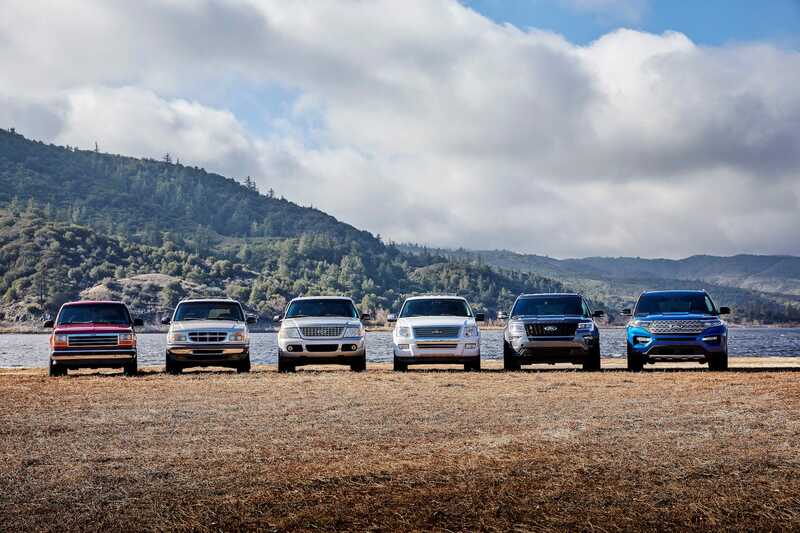 The three-row SUV is critical to Ford’s future. US consumers have shifted away from passenger cars, and Ford has decided to stop investing in those vehicles. The strategy requires that pickup trucks, SUVs, and crossovers carry the sales burden. Ford redesigned the perennially bestselling F-Series pickups in 2015 and 2016. It’s also introduced — and re-introduced — new crossovers and pickups, such as the Bronco and the Ranger. But the Explorer is special. It was the first large, profitable SUV to catch on with suburban families, ending the reign of the station wagon and bringing the utility vehicle out of the woods and onto city streets. Ford knows its Explorer owners well, so it asked them what they wanted in the new vehicle. “More capability, more power, more space,” was the answer, Hau Thai-Tang, Ford’s head of product development and purchasing, said in a statement. “We obsessed about what Explorer customers need and want,” Bill Gubing, the SUV’s chief engineer, said in a statement. The design of the new SUV could be called a systematic improvement rather than a total rethink. The fascia was reworked with a bold new grille, but the familiar blackout A-pillar remains, and nobody who owned or leased the previous-gen Explorer will think the 2020 model is anything other than … a Ford Explorer. But, as Ford noted, the SUV has been re-engineered, built on a new rear-wheel-drive platform that hasn’t changed the outward dimensions of the vehicle but has opened up interior space. Under hood, you can get everything but a V8. A 2.3-liter, twin-turbocharged four-cylinder that makes 300 horsepower with 310 pound-feet of torque is the base motor. A 3.0-liter, twin-turbocharged EcoBoost V6 is the next step up; it makes 365 horsepower with 380 pound-feet of torque. Towing has been massively improved. The properly outfitted Explorer with the 3.0-liter engine can pull 5,600 lbs., an increase over the top-level 3.5-liter motor in the outgoing SUV. The smaller 2.3-liter engine can now tug 5,000 lbs., while the current SUV with that engine manages just 3,000 lbs. The improvements come for an SUV that’s also shed 200 lbs. in overall weight. Drop the third-row seats and the new Explorer has 171 cubic feet of cargo area. With the third row deployed, children and un-large adults can ride in relative comfort, and getting in and out of the seating area is made easier thanks to what Ford calls “E-Z Entry” second-row seats. 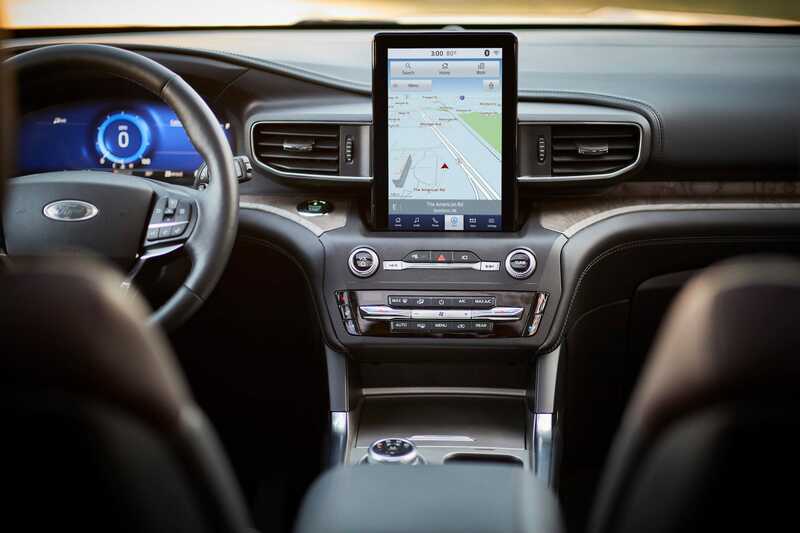 The most noticeable changes to the Explorer aren’t surprising: infotainment technology has been fully updated with Ford’s latest SYNC 3 system, a 10.1-inch central touchscreen, and a fully digital instrument cluster; the old-school shifter has been replaced by a selector knob; and the SUV now has wireless device charging, as well as 4G LTE wireless connectivity. A 980-watt, 14-speaker B&O premium audio system has also been dropped in. The 2020 Explorer will also have numerous driver-assist technologies standard under Ford’s Co-Pilot360 system. Drive modes will range from Eco to Sport, with setups available to showcase the new Explorer’s offroad and foul-weather capabilities. 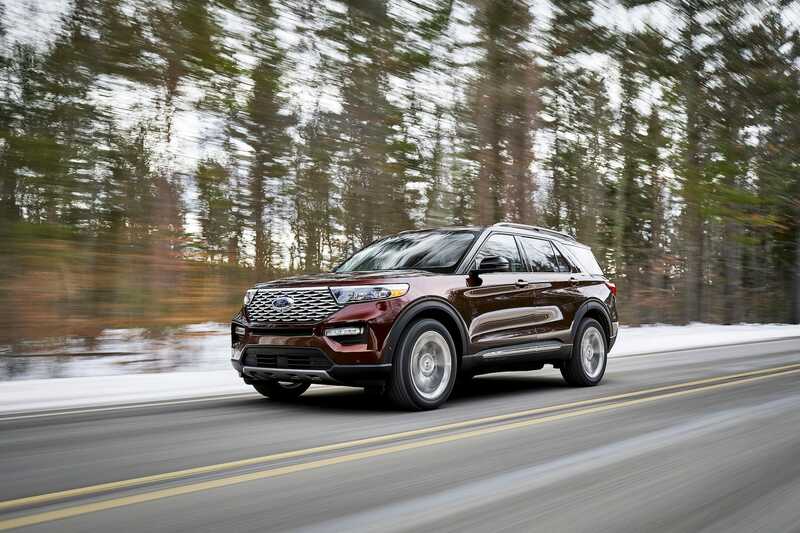 The 2020 Ford Explorer will hit dealerships in mid-2020, with a lineup consisting of “standard, XLT, Limited, Limited Hybrid, and Platinum models,” the automaker said in a statement. Beyond the base trim level’s increase, Ford didn’t disclose pricing. The company also said it would reveal a Ford Performance ST trim level of the Explorer, as well as a hybrid version, at the Detroit Auto Show next week.